Derek Jacobi headlines in one of his most evil roles to date in Big Finish Productions The War Master Saga. Sir Derek Jacobi is reprising his role as the Master, the evil Time Lord from the Doctor Who universe, in an on-going four series spectacular from Big Finish Productions. Big Finish were delighted to bring Derek Jacobi back as the Master for a set of four adventures last year in the critically acclaimed The War Master: Only the Good, and are now overjoyed to confirm that he’ll return for another three series. The second series, The War Master: The Master of Callous sees the Master in a brand new four-part adventure, furthering his exploits in the Time War. Nicholas Briggs, executive producer and script editor of the series, told us more on this new arc of stories: “As we travel further with the Master through the Time War, there are epic implications as well as very personal stories. There’s a distinctly dark and mystical feel to some of the episodes, but ultimately we discover that the Master laid some truly dastardly plans before it all started, and that his warped ambition knows no bounds. Scott Handcock, producer and director of The War Master series: “Even before we finished recording The War Master: Only The Good, Derek had told us how much he wanted to come back, and another series of brand-new adventures for the War Master got an instant green light! The War Master: The Master of Callous kicks off the next set of adventures in December 2018. Series three, The War Master: Rage of the Time Lords will follow in July 2019 written by Tim Foley and David Llewellyn, and series four, The War Master: Anti-Genesis written by Nicholas Briggs and Alan Barnes will complete the saga in December 2019. All four series can be pre-ordered today individually for £20 on download or £23 on CD, or you can save money in a specially-priced War Master bundle with all four series at £80 on download or £90 on CD. If you’ve previously purchased The War Master: Only the Good, you can get series 2–4 at £68 on CD or £60 on download. 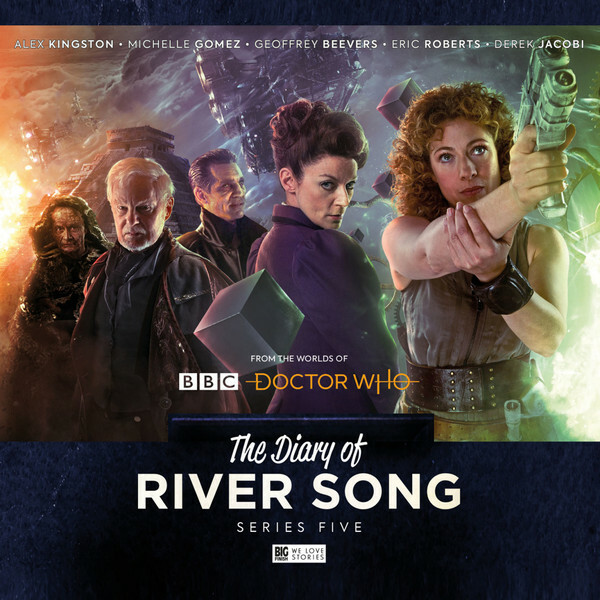 And you can catch the War Master in series five of The Diary of River Song, alongside Missy played by Michelle Gomez, Eric Roberts' iteration of the Master and Geoffrey Beevers.